English writer, actor and musician and front-man with Doctors of Madness. 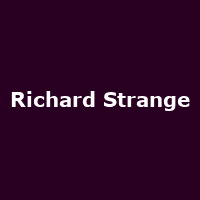 His own solo work includes the albums "The Live Rise of Richard Strange", "The Phenomenal Rise of Richard Strange" and "This is War". Films include Batman (Tim Burton) and Harry Potter and The Deathly Hallows Part 2.